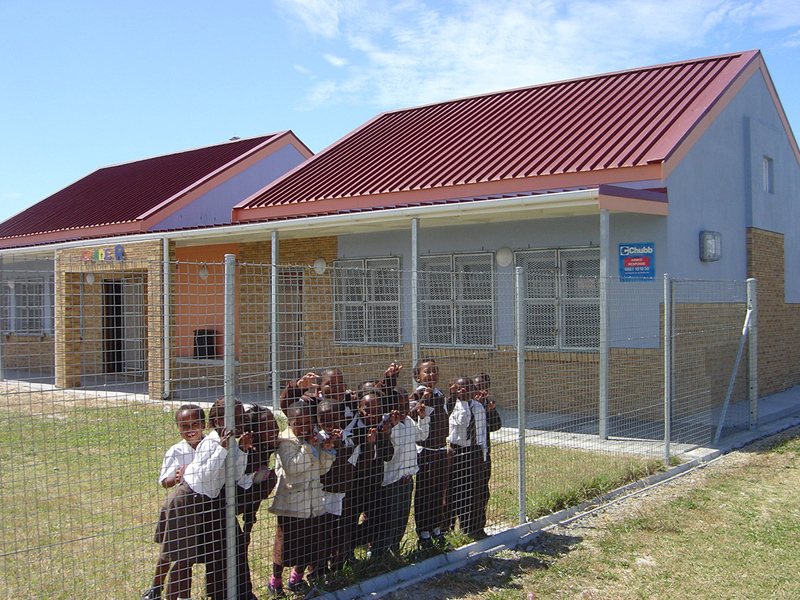 Education is of prime concern in South Africa. 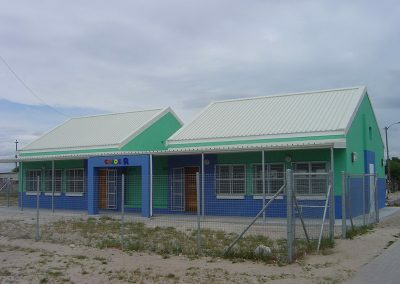 The need to ensure that young children attend pre-school is recognized by the Government, hence a concerted effort is being made to add pre-school classrooms to existing primary schools in areas where private income in limited. 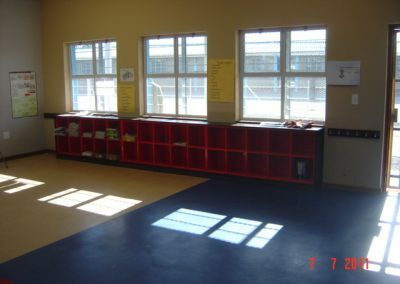 Our design is a prototype based on the Department of Education’s norms. 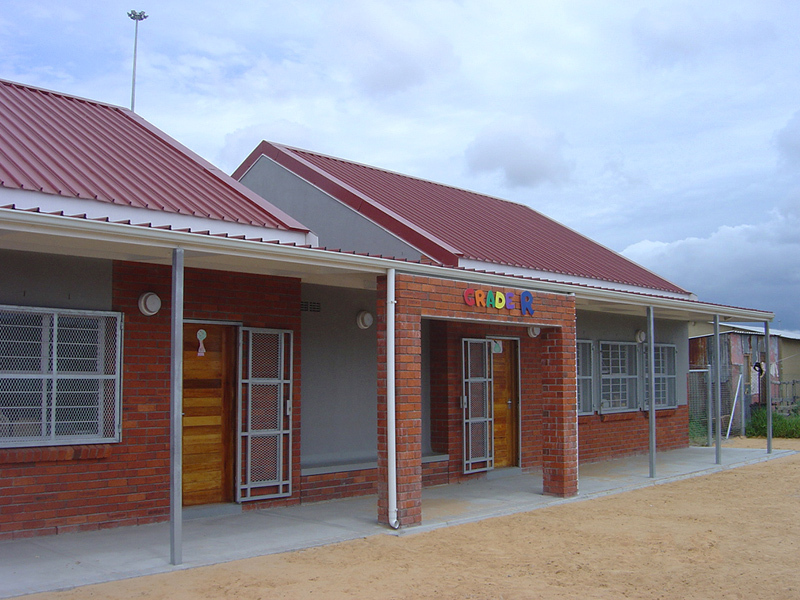 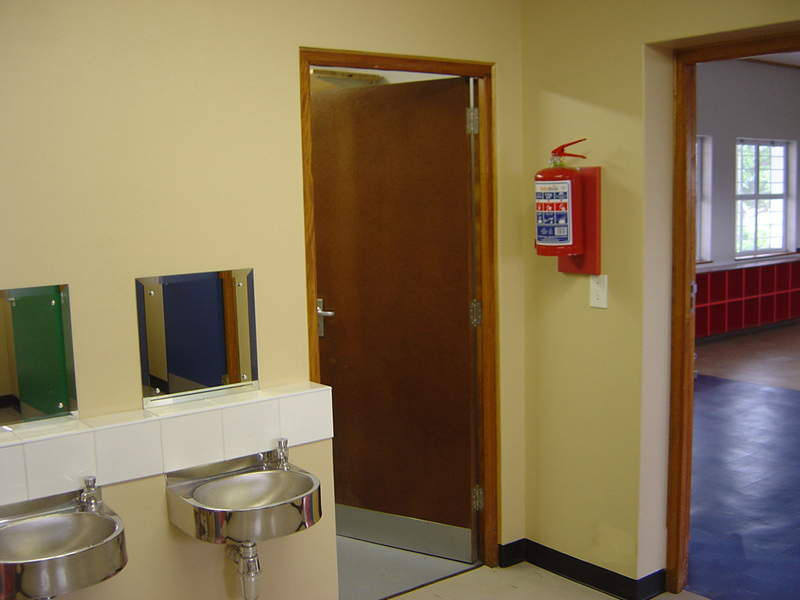 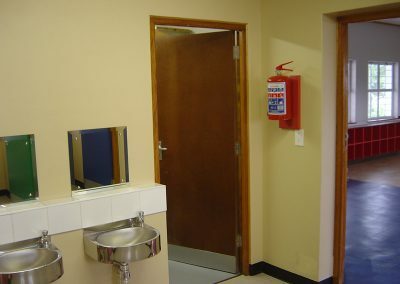 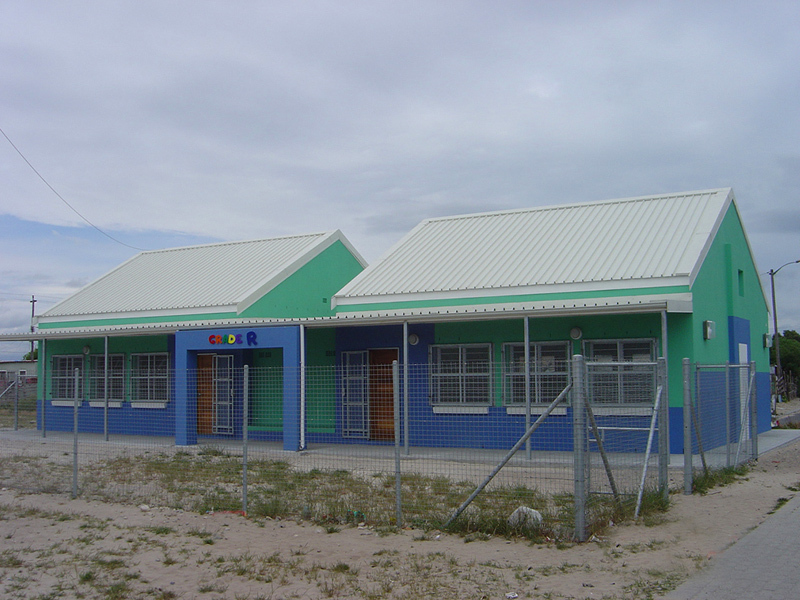 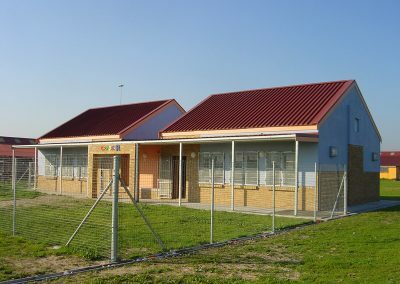 It comprises either one or two classroom units that share a common store and ablution area. 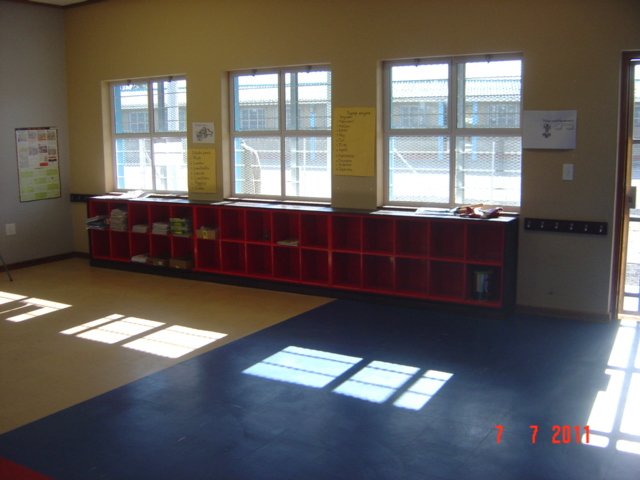 As the scope for plan design is limited by the Departments required layout, we look at differentiating spaces that are for service (i.e. 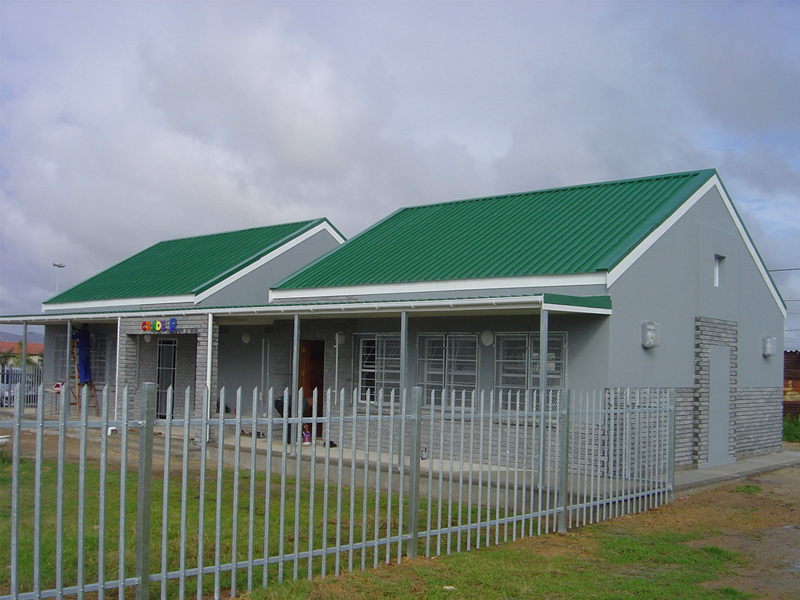 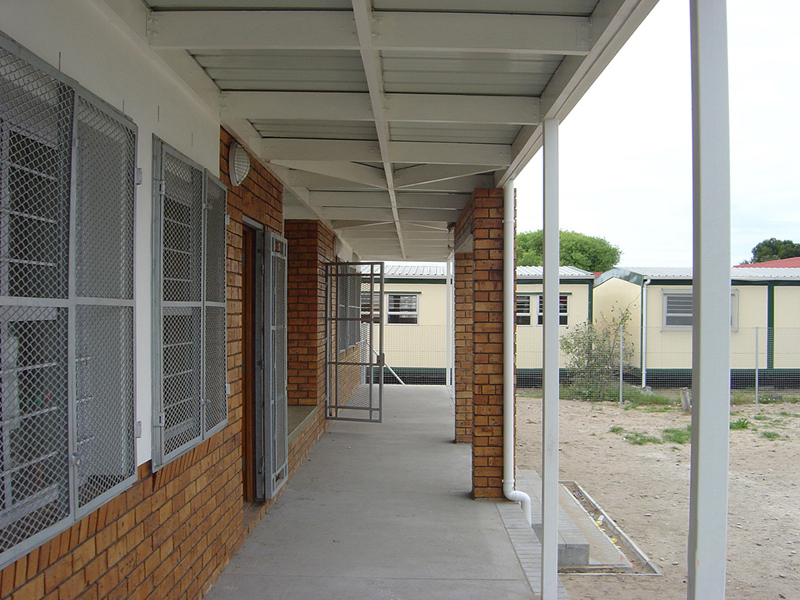 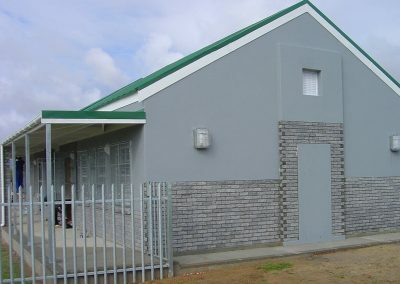 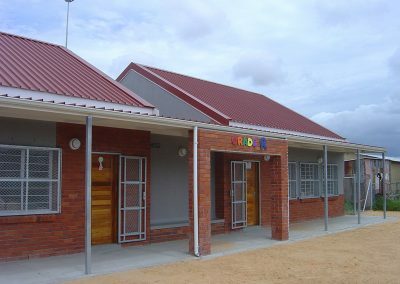 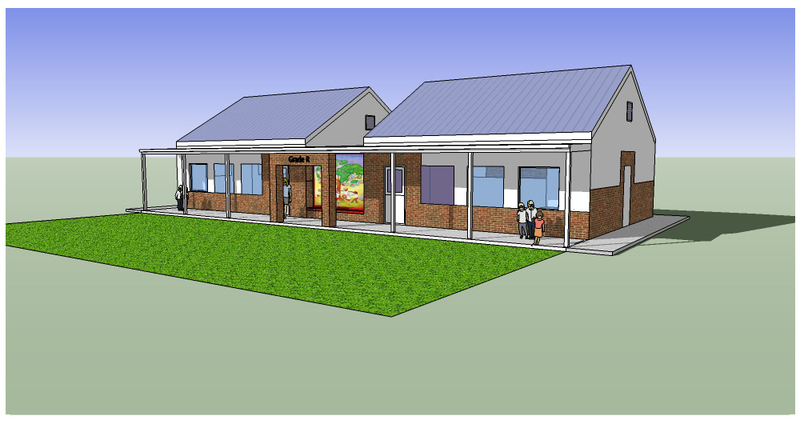 store and ablution areas) and for served spaces such as the classrooms themselves and the covered verandah which is both a sun control element as well as providing for under cover play on rainy days. 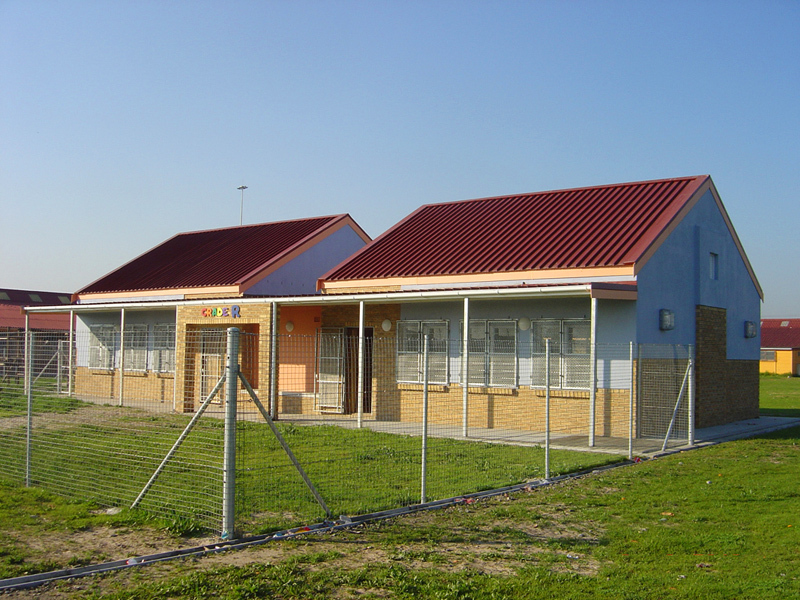 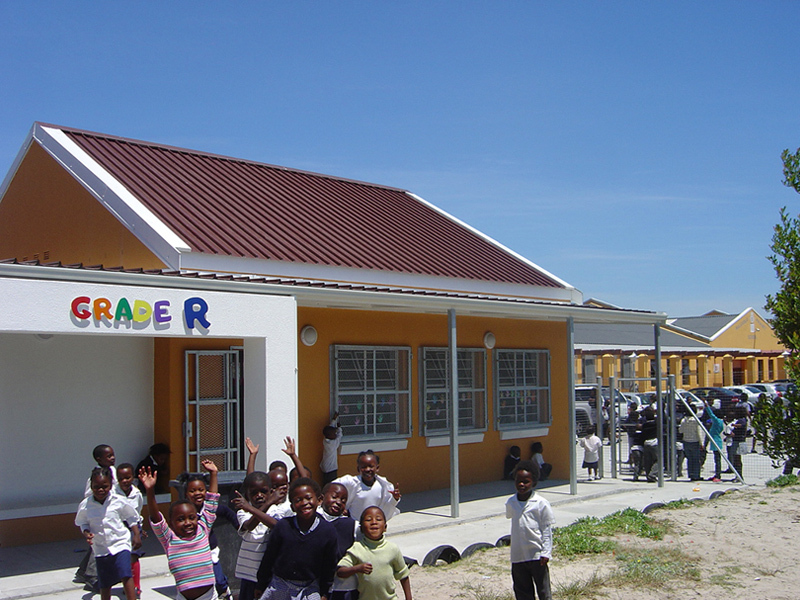 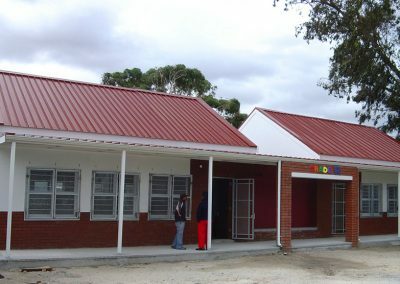 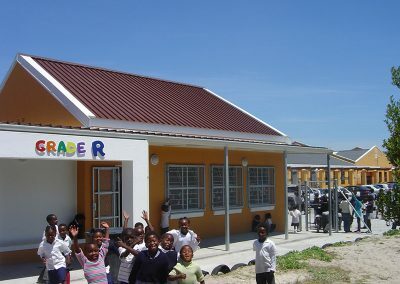 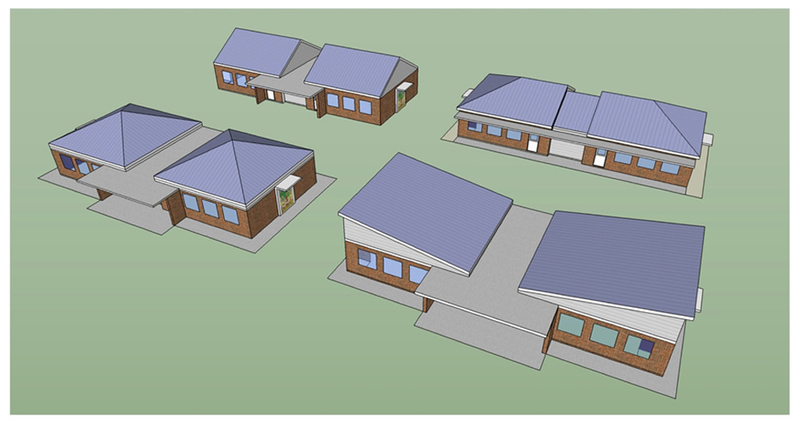 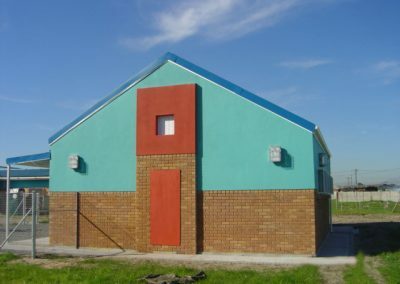 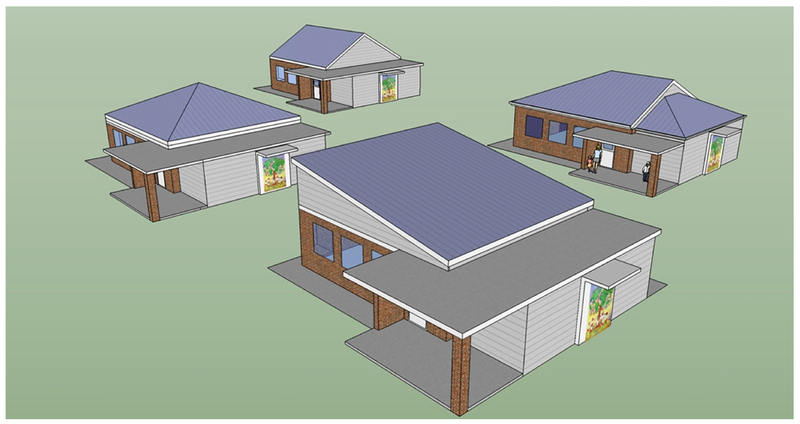 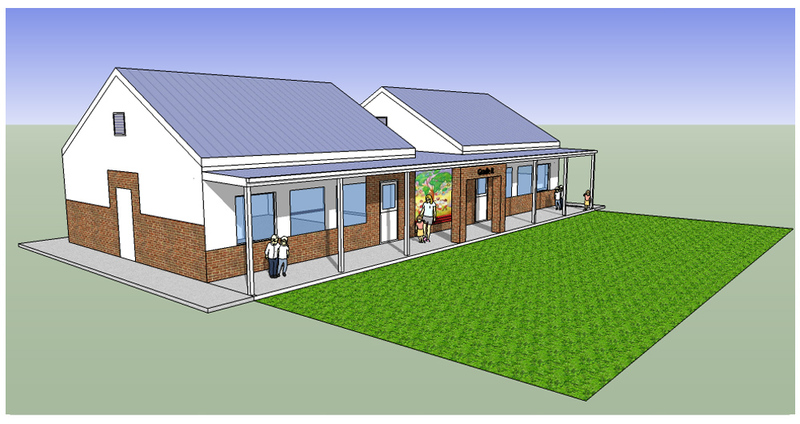 The difference between these areas, is indicated by roof shapes with service spaces covered by a relatively flat roof and the classrooms with higher ceilings covered by a pitched roof reminiscent of a child’s house drawing. 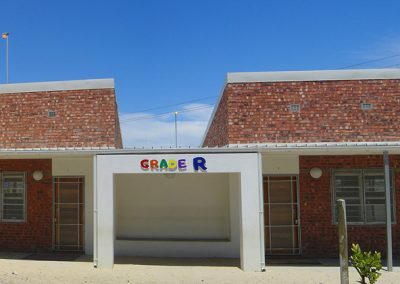 The entrance is celebrated with a brick slightly projecting “arch” into which the name “Grade R” is added using brightly coloured aluminium letters in a playful font. 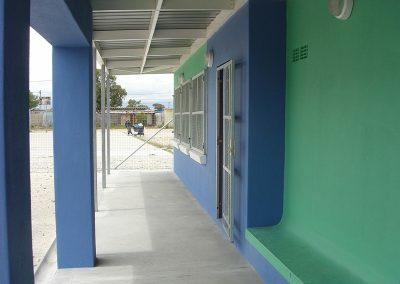 A built in seat is allowed for under the verandah. 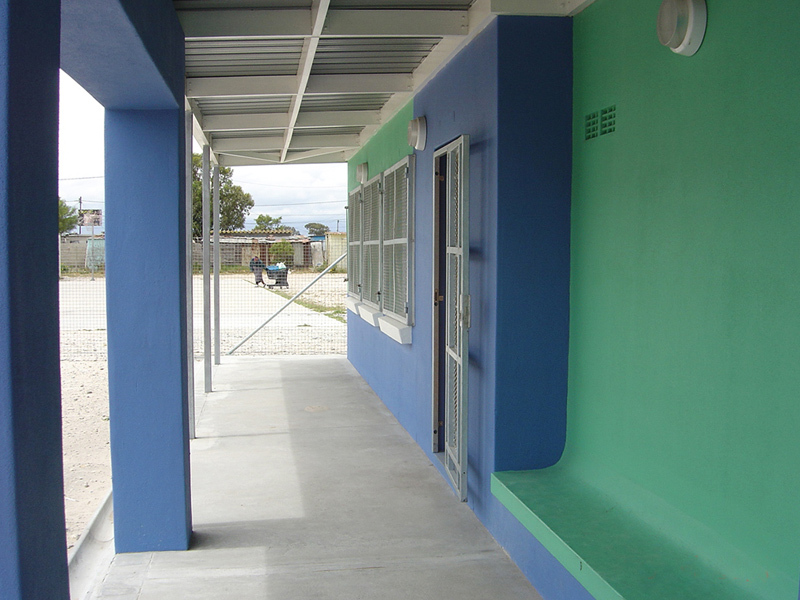 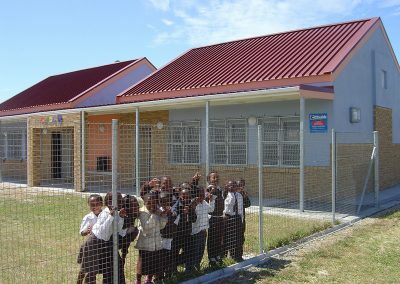 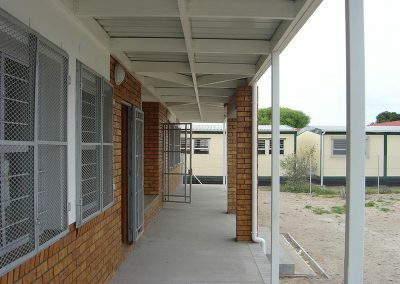 Each classroom unit has a separate fenced off playground (to ensure that older children are separated from the pre-school learners). The playgrounds have gumpole play structures and trees under which lessons can be learnt in the hot summers. 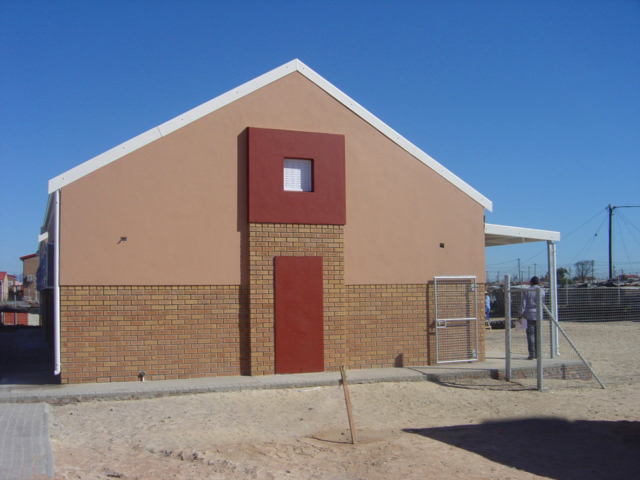 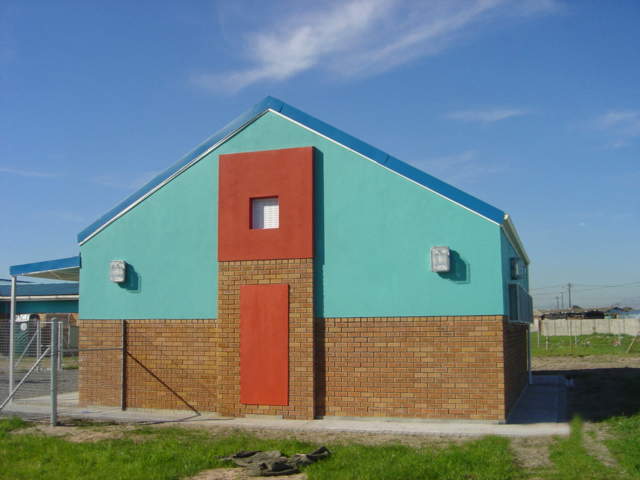 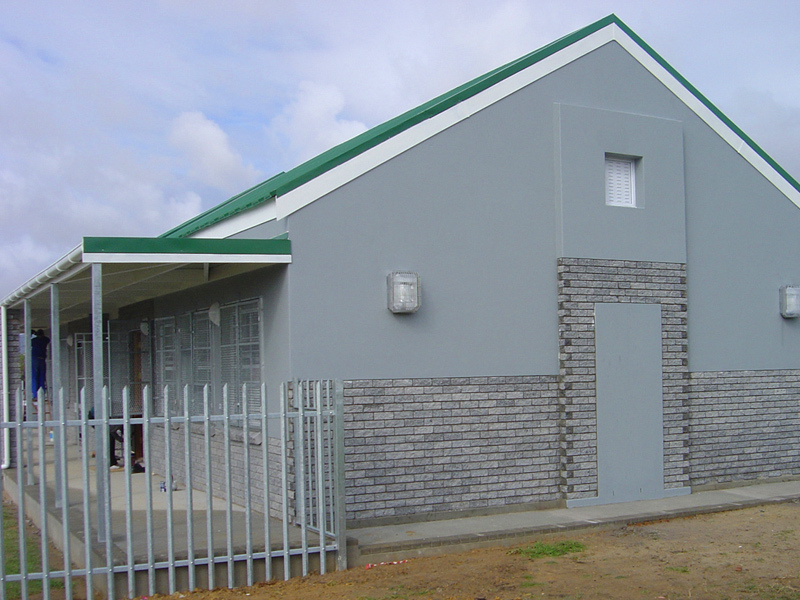 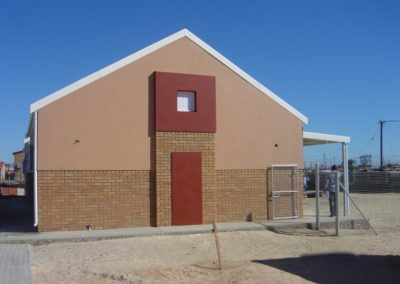 Alternative building methods and pre-fabricated units are dealt with in a separate rollout by the Government and the request was that these units be built in brick and mortar, which is the preferred method in the township areas, where most peoples homes are built of corrugated iron. 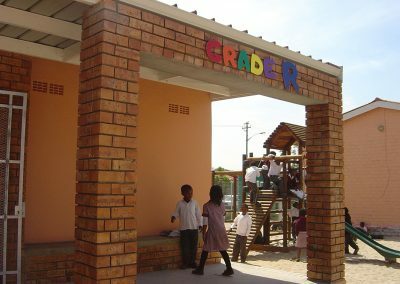 The classrooms are joyfully received and inhabited by the pre-schoolers.